The Wonderful Jenny at WondrousReads has spoilt me again and sent me some books - That girl is wicked!! This is an Anthology book, which looks amazing. 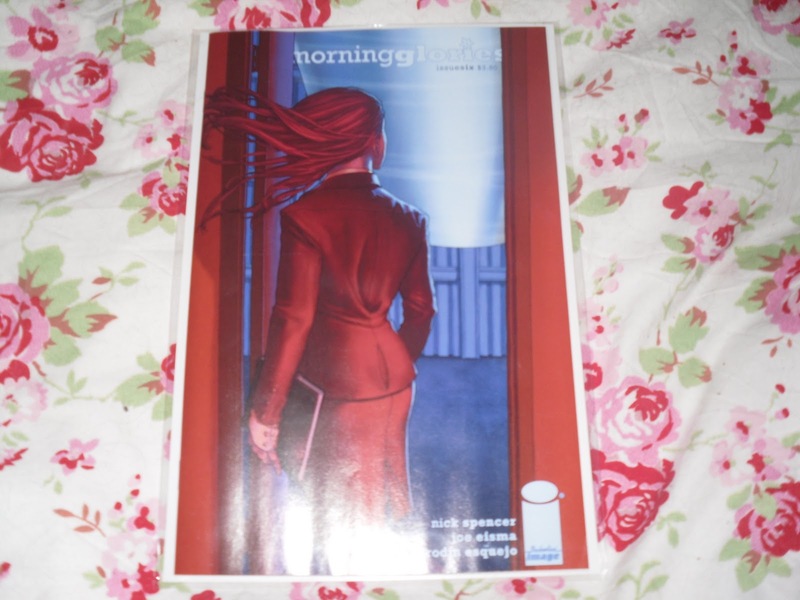 Full of short vampiric stories. Looks like it could be a fun quick read & with some of my favorite authors - YAY! 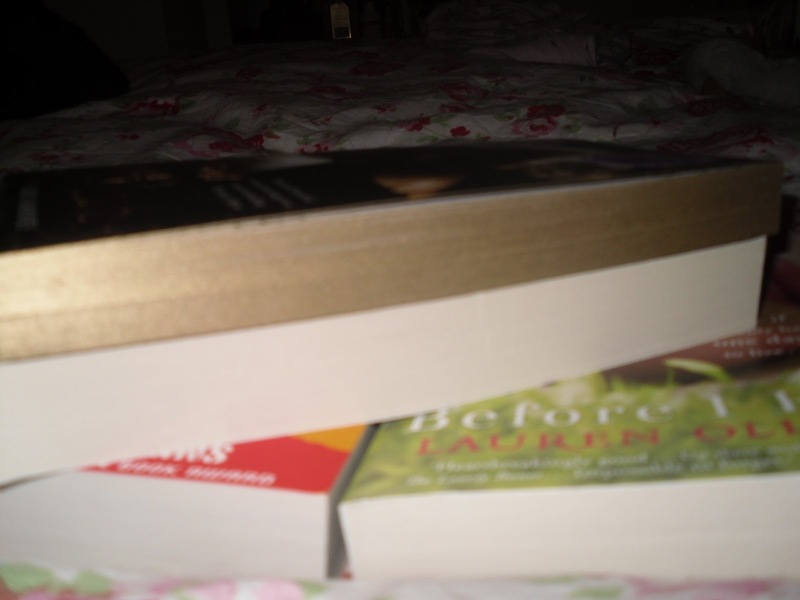 So I know I am so behind on reading these books & believe me I have been told off by my friends & even Scholastic!! I'm catching up though & am actually reading Catching Fire now!! I'd heard this book is great, so was interested anyway, but then found out about the amazing limited edition Waterstones was selling, so had to buy it. It even has gold edged pages, I've posted a picture of the pages slightly down this post! I really like period set books, but have never read anything set in the 1920's period so when I heard about this I knew I had to get it. Looks fun and quirky! I was talking to friends about really wanting to read Delirium which is out this week & was asked if I had read Lauren's previous book, which I guiltily had to admit I hadn't. I've heard rave reviews of this, so am looking forward to starting this one soon! You can see the colour of the Iron Witch pages in this - how Gorgeous??! Hope you all have added some awesome reads to your collections this week too!! Awesome haul! Thank you for returning the follow! You have some really great titles here, can't wait to read your reviews! Great mailbox! I'm looking forward to reading The Iron Witch myself and hope you love Before I Fall as much as I did. Thanks for stopping by my blog and following =] Returning the follow, your blog is awesome! Happy reading! AWESOME! Finish Catching Fire and Mockingjay soon so we can have some serious natter about it! Bright Young Things was amazing! If you haven't read Godbersen's Luxe Saga, you should do so as well! 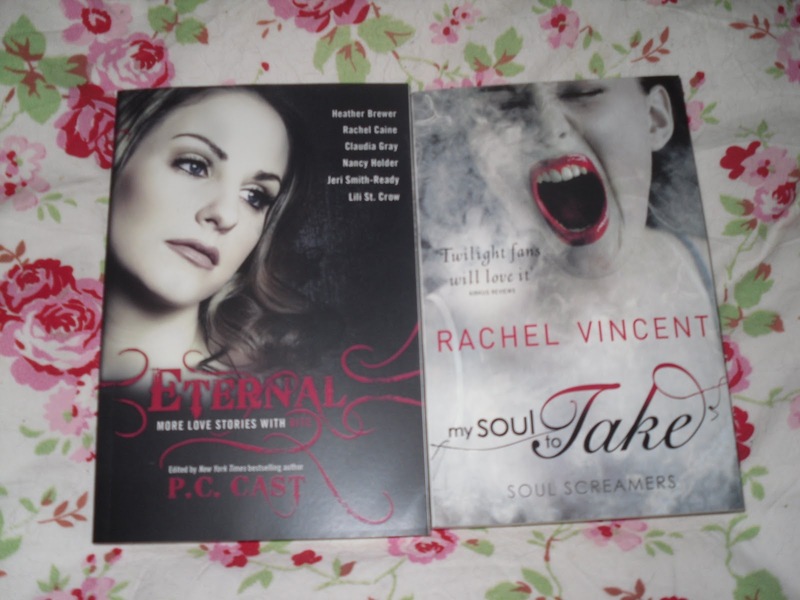 Ooh, I've added My Soul to Take to my to-read list!! I have heard really good things about Bright Young Things! I can't wait to read it myself. 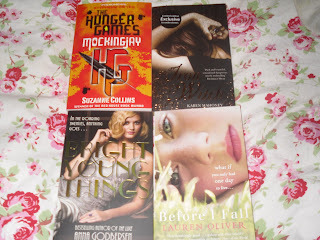 I plan on reading these as soon as I can - they are all too exciting!!! I'm coming over to your house. Really lovely haul this week! There are a couple of books up there that I've really been wanting to try. My IMM is over here. I'm your newest follower, and I'm really like your blog so far. It would be lovely if you could check mine out, as well! Happy reading, sweetheart. The Iron Witch pages are beautiful. Lucky!